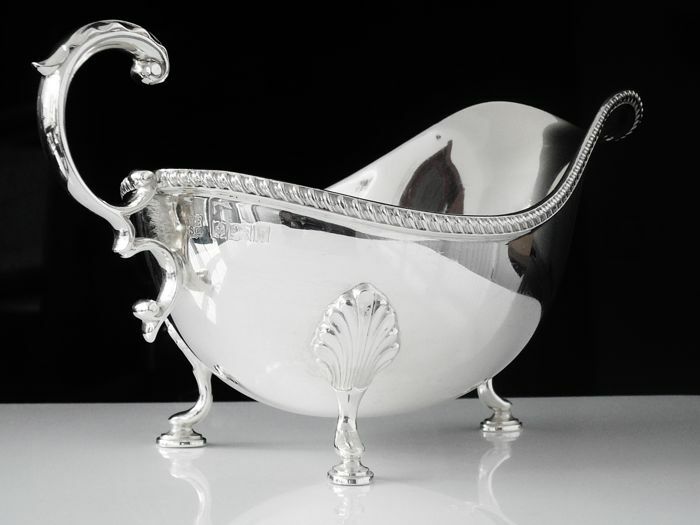 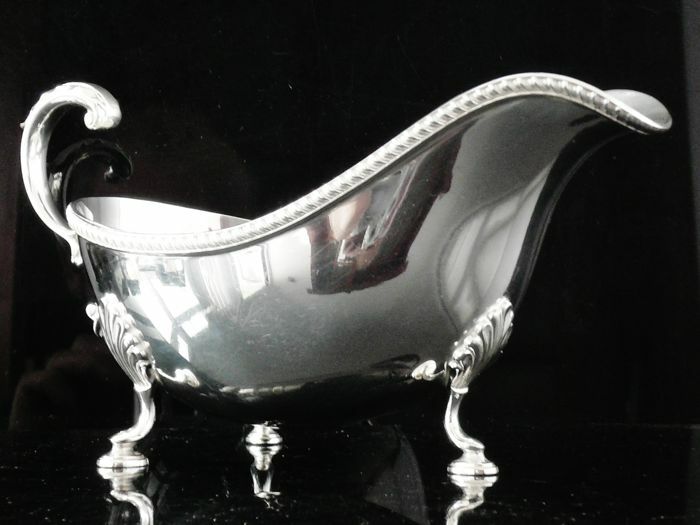 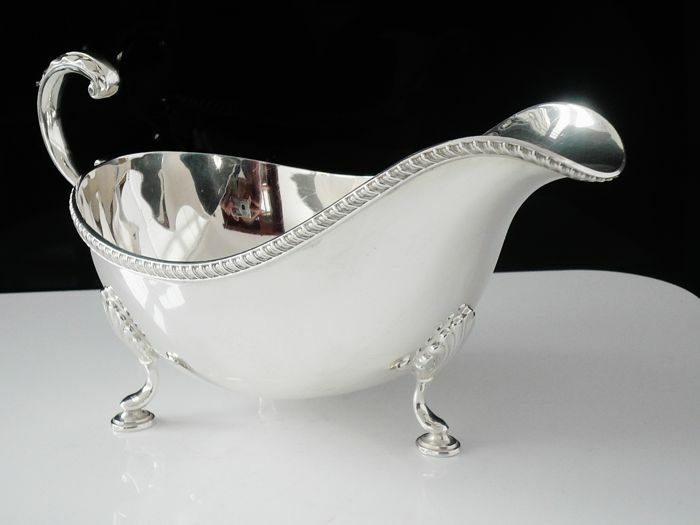 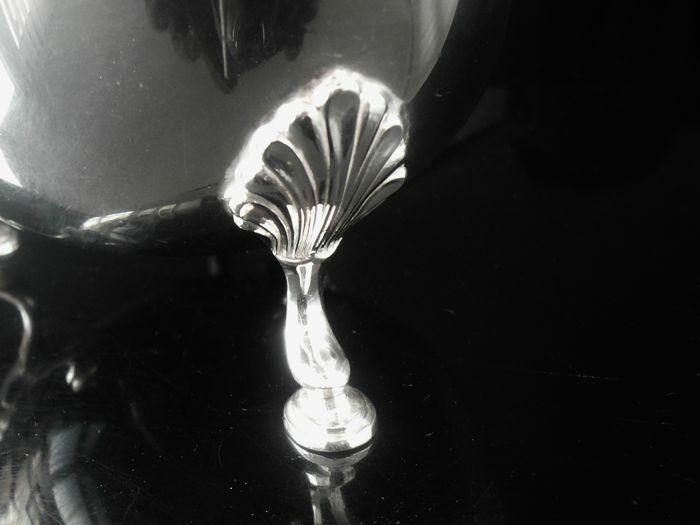 A Magnificent English sterling silver sauce boat of considerable size and weight by Barker Ellis Silver Co, hallmarked from Birmingham in 1971. 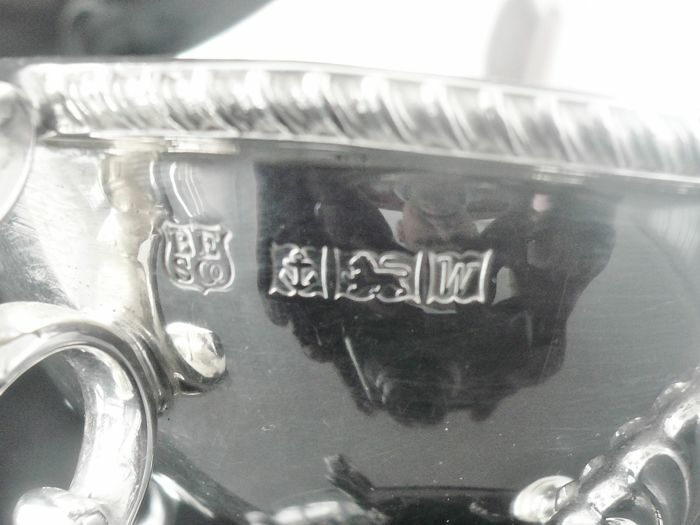 In excellent clean order , with no damage, repairs or engravings. 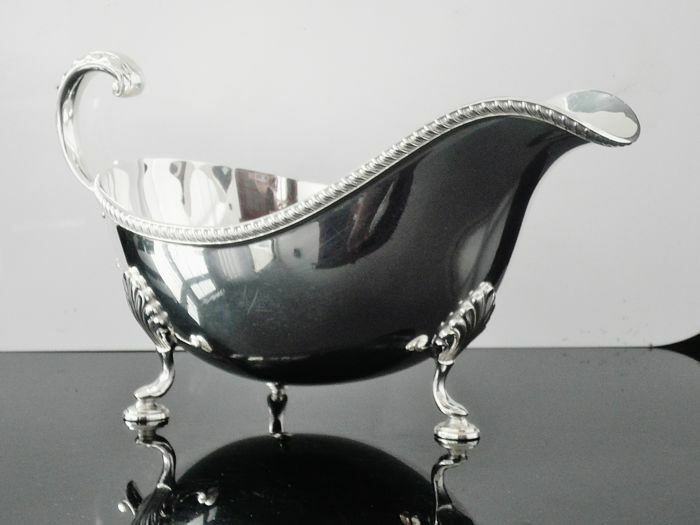 Ready to use or to display. 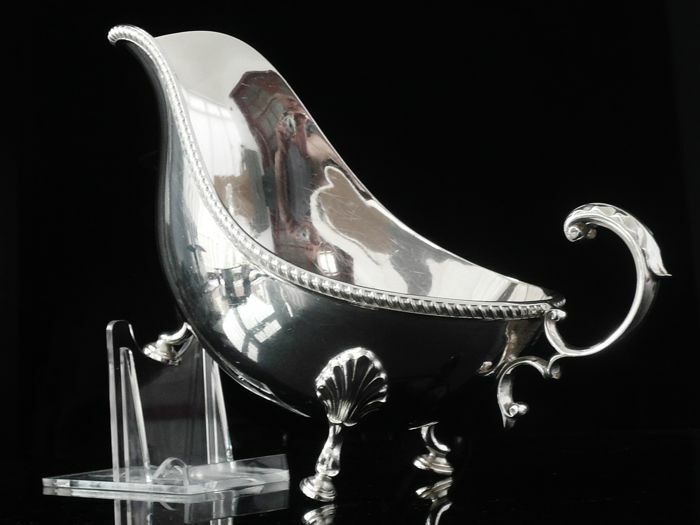 It measures 190mm in length (19cm) and stands 100mm (10cm) tall at highest point of the handle.